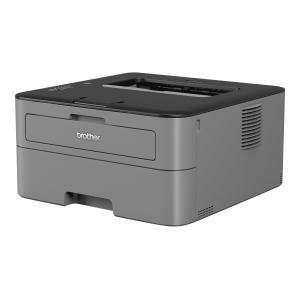 The Brother HL-L2300D personal laser printer is the reliable choice for your home or office. This desk-friendly, compact laser printer connects with ease to your computer via the USB 2.0 interface and prints crisp black and white documents. Automatic duplex printing helps save paper.